This is a gritty, often deeply disturbing, occasionally amusing story of a mentally ill everyman. 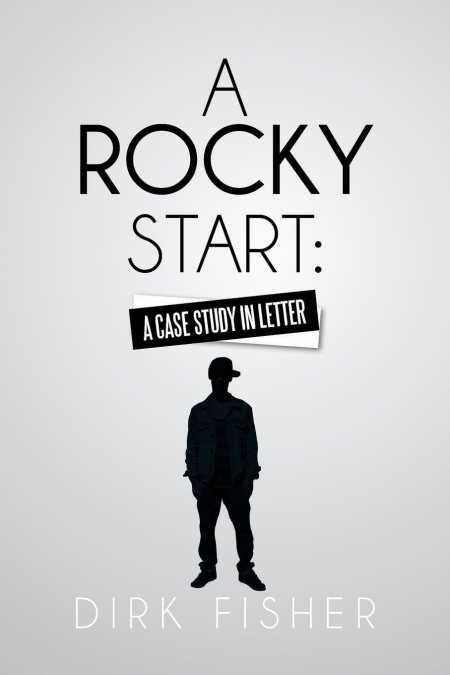 A Rocky Start: A Case Study in Letter is the epistolary memoir of Dirk Fisher, who suffers from mental illness and reveals his long struggle to forge an independent life by steering through “the system” despite his condition and its limitations. Thus began a long trek through California’s labyrinthine service programs: Social Security Administration, courts, health services. His disability payments were withheld, his belongings were placed in storage, and he struggled with mind-numbing medications. He felt coerced by the legal system, bullied by shelter staff, and undermined by what he calls The Dark Side: “the forced treatments and belligerent apes with PhDs and LCSWs.” Gradually, he began to try to cooperate, creating lists of plaintive promises to “get an injection,” “go to urgent care,” “talk with peers more,” “keep my mind active,” etc. Fisher’s fervor to recount events and make his case is admirable, but some sentences can be rambling and lengthy to the point of distraction, and, though roughly chronological, the story jumps around in place and time. The letters have grip when he indicts, through a multitude of examples, the government and mental health systems he opposes, but they slip somewhat when he launches minor complaints against specific people. In general, however, Fisher’s natural intelligence drives the narrative, engaging the reader with its authenticity. Once immersed in the gritty, often disturbing, occasionally amusing experiences of this mentally ill everyman, one finds a full portrait of Fisher’s struggle to overcome agony, anger, and humiliation while navigating treatment programs and trying to emerge with his basic dignity intact. Fisher describes A Rocky Start as “a candid and rare look into one particularly complex life.” It is that and more. It should be read thoughtfully by mental health professionals, those who suffer from mental illness, and anyone with genuine concern for the plight of the mentally ill in America.